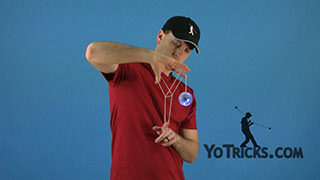 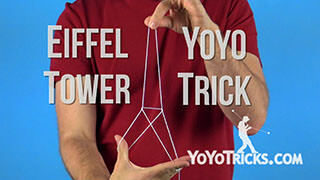 Four-leaf Clover yoyo trick how to video. 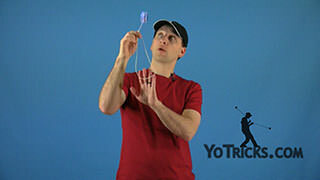 Four-Leaf Clover (aka Butterfly) Yoyo TrickThis picture trick is called the Four-Leaf Clover (aka Butterfly yoyo trick). 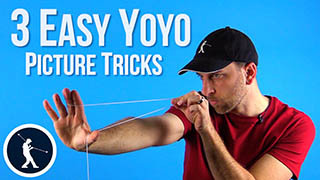 To learn it, again, it’s easier if you just let the yoyo hang down at the bottom of the string without spinning. 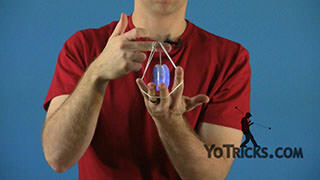 What you want to do is you want to take your fingers and split them apart just like this. 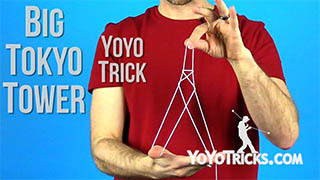 Have all your fingers paired in twos. 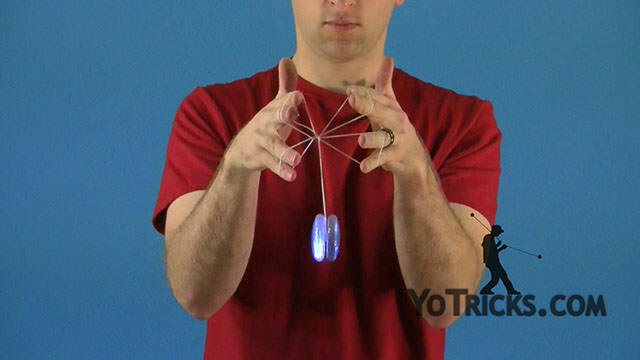 What you’re going to do now is take your opposite hand and lift the string up, then take the bottom two fingers on your yoyo hand and lift the sting. 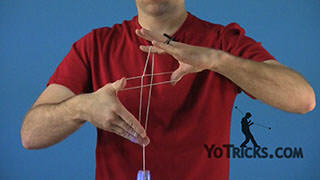 Then take the bottom two fingers on your opposite hand and lift the string again. 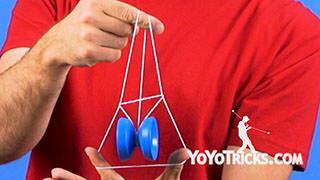 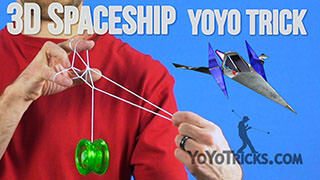 Now you’re going to take the first two fingers on your yoyo hand and bend over the string and lift it up. 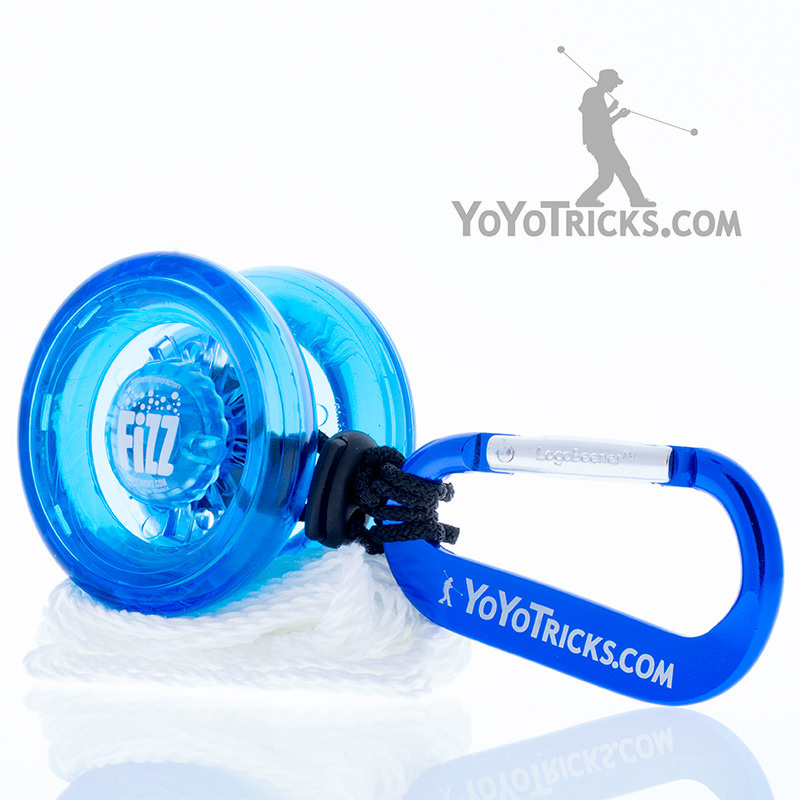 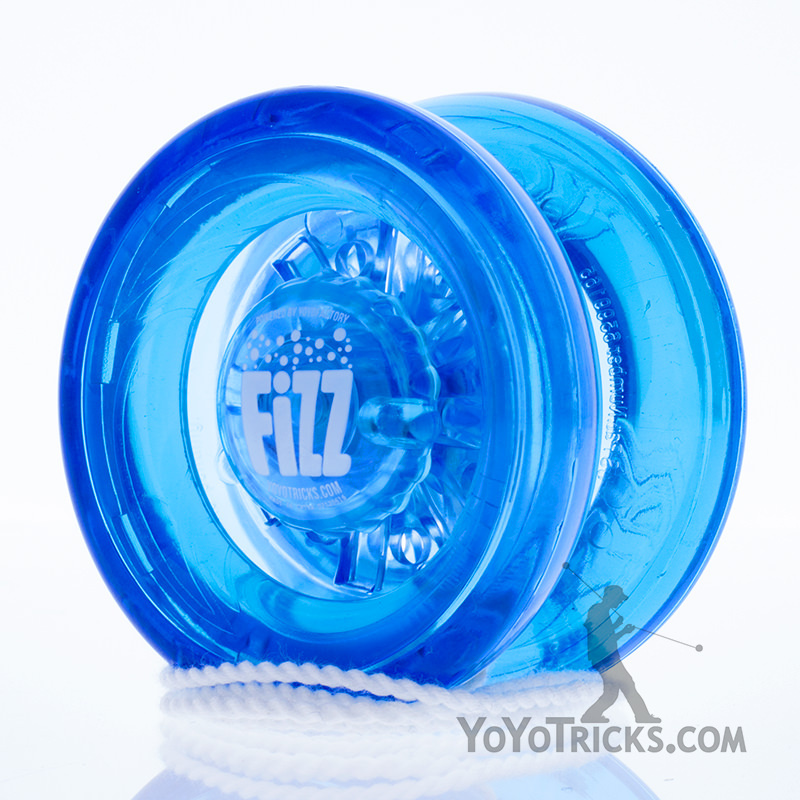 You want to make sure to give yourself plenty of room because what you are going to do is take the yoyo and flip it right over the top. 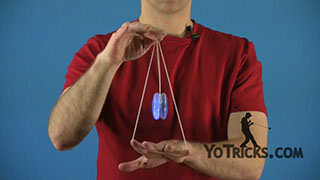 You are going to flip it towards yourself. 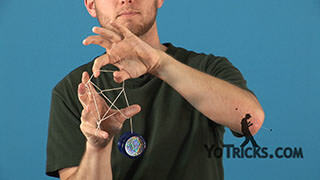 When you do that you kinda want to get it more towards the center because when you spread your fingers apart it makes the Four-Leaf Clover. 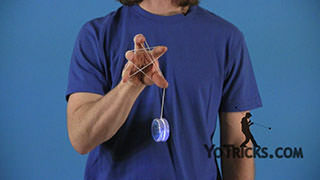 This is how it looks with the yoyo spinning.